HomeSpotter uses your mobile phone number to sign in to your account. When you sign in, simply tap on "Phone Number". 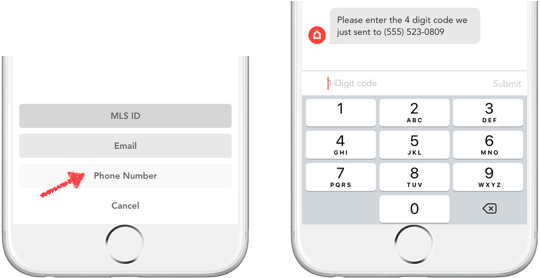 Next, input your mobile phone number to receive a 4-digit passcode via text message. Input this code to the provided field to gain access to your account.